Having had the opportunity to be around the most talented players in the country, I noticed there is a key factor that separates the good from the great. That is the ability to compete. Mediocre players rarely compete. Good players compete when they want to. Great players compete all of the time… every drill, every workout, every day. Their competitive fire never stops burning. And competing doesn’t always have to be against another player. Great players compete against themselves. Great players compete against the clock. Great players compete against the drill. They are never satisfied with what they have already accomplished and are constantly competing to improve. They aim to raise the bar every single workout. No matter how much success they have had, they are always looking to go to another level. Kevin Durant doesn’t pick and choose when to compete, he competes all of the time. KD just won the NBA scoring title, was an All-Star, and led the Thunder to the playoffs. 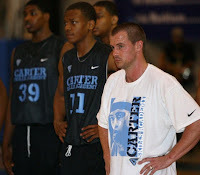 Yet he competed as hard as any high school or college player at his Skills Academy (in both drills and scrimmages). KD played with the hunger and urgency of someone who still needed to prove himself, even though he obviously doesn’t. I can tell within 5 minutes whether or not a player is a true competitor. I can tell in their preparation. All I have to do is watch what they do the 15 minutes before the workout begins. Are they waiting for the workout or are they preparing for it? There is a difference. Players who are preparing to work out, are dressed and ready and going through some type of standard routine, such as a structured warm-up or doing some form shooting. They aren’t joking or grab assing around. They are focused on getting mentally prepared. They are all business. Despite the stress of “The Decision,” and the fact he was technically an unsigned free agent at the time, LeBron James laced them up and played with both the high school and college players at his Skills Academy. Even though these were just nightly pick-up games, LeBron went through his standard pre-game preparation, which included being thoroughly stretched by his trainer and running through some basic shooting drills to get a sweat. The only thing he didn’t do was throw chalk in the air! LeBron James is a competitor. LeBron James knows how to prepare. Each night, there were two games going on simultaneously on adjacent courts. The games played on LeBron’s court were always twice as intense and competitive as the other court. Why? One reason was because LeBron’s competitiveness and intensity was contagious. The other reason was because the other players wanted to take advantage of the opportunity of playing against the NBA’s reigning MVP. They were more competitive because something was on the line and they felt they had something to prove. The key to being a great player is learning to play that hard and intense all of the time. Why not compete like you are playing against LeBron in every game you play? 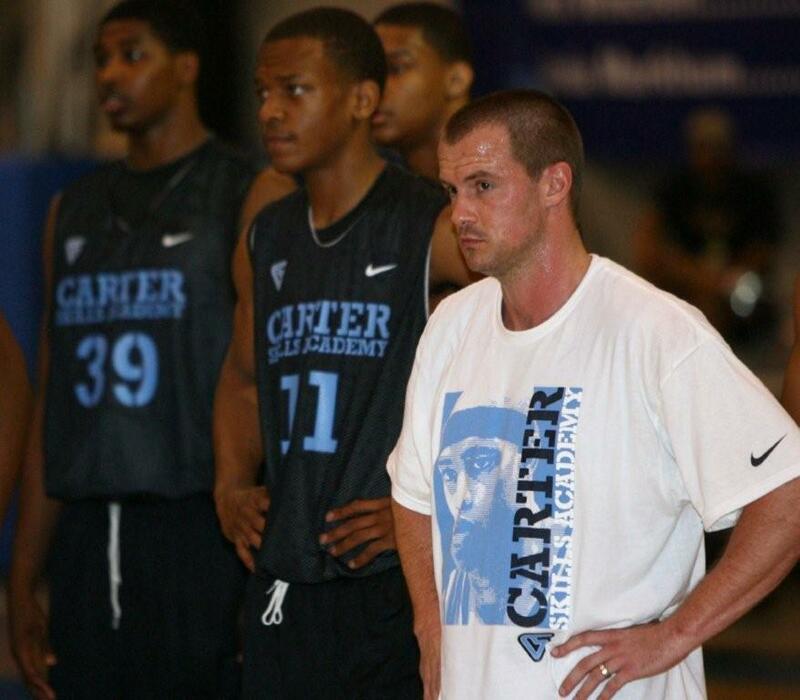 Why not compete in every drill as if a college coach or NBA scout was watching? If you can figure out how to do that, you will be well on your way. When you learn to treat an off-season workout with the same importance as a championship game, then and only then, have you learned how to truly compete and maximize your potential. I have seen plenty of very talented players fall short because they didn’t make competing a habit. Don’t think you can just “turn it on” when the season starts. You need to start competing now… every drill, every workout, every day. Are you waiting for the season to start… or are you preparing for it? If you need to spice up your summer workouts with some alternative exercises that require minimal equipment, I just posted a video of Basketball Strength & Conditioning Exercises: Upper Body at http://TinyUrl.com/UpperBodyExercises. Lastly, we have officially wrapped up our 10 week long Can He Dunk? Project. You can watch the first episode at www.CanHeDunk.com. We will post a new episode each week for the next five weeks.